Since the result of the referendum last summer, the UK Government has made it absolutely clear how important it is that we secure as early as possible both the rights of EU citizens in the UK and UK nationals in EU Member States. We are now seeking to provide EU citizens with certainty about their future by publishing a policy paper which outlines exactly what our offer is to EU citizens. What is the Government’s offer? We want to offer certainty that EU citizens, and their family members, can continue to enjoy the equivalent broad range of activities and access to benefits and services in the future as they do now. We also want to ensure EU citizens continue to not only be able to live here as they do now but also to continue enjoying other important rights such as access to healthcare, education, benefits and pensions. These rights will apply to all EU citizens equally and we will not treat citizens of one member state differently to those of another. This is without prejudice to our special relationship with Ireland. These rights will be enshrined into UK, not EU, law. This will be enforceable through the UK judicial system not the ECJ. No EU citizen here lawfully before the cut off date, which is yet to be agreed, will have to leave after we exit the EU. There will be no ‘cliff edge’ for businesses or individuals and we want to keep together families living lawfully in the UK. Under the Government’s offer, what would be the requirements for those EU citizens looking to remain in the UK? Our intention is that EU citizens who have been continuously resident here for five years will be allowed to stay indefinitely by getting ‘settled status’. This means these citizens will be free to reside in any capacity, have access to public funds and services and apply for British citizenship. EU citizens who arrived before the cut off date but haven’t been here for five years will be able to apply for permission to stay until they have accumulated five years, after which they will be able to apply for settled status. EU citizens who arrived after the cut off date will be able to apply for permission to remain after the UK leaves the EU. Family dependants who are living with or join EU citizens before the UK’s exit will be able to apply for settled status after five years in the UK too. This is irrespective of the cut off date. What do EU citizens in the UK need to do now? There is no need to do anything now. The UK will remain a member of the EU until March 2019 and there will be no change to the rights and status of EU citizens living in the UK, nor UK nationals living in the EU, during this time. Permanent residence status is linked to the UK’s membership of the EU and so will no longer be valid after we leave. Therefore EU citizens do not need to apply for documentation confirming their permanent residence status. 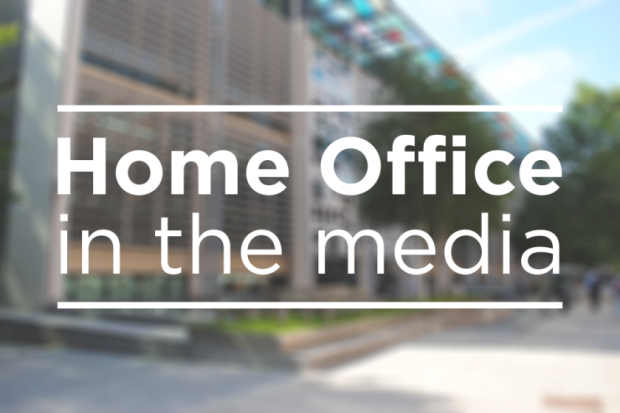 We will be asking EU citizens to make an application to the Home Office for documentation demonstrating their new settled status in due course. We will endeavour to make sure the process is as streamlined as possible for all individuals, including those who already hold a residence document under current free movement rules. Anyone who would like to find out the latest information, including when they will need to sign up for the new scheme, can sign-up for email updates here. What will EU citizens need do after the UK leaves the EU? All EU citizens and their families in the UK will need to apply to the Home Office for permission to stay. This is regardless of the date of their arrival. This will be legally required and enable these citizens to demonstrate that they have permission to continue to live and work legally in the UK. However, there will be a grace period to give EU citizens and their families sufficient time to make their application. How will this impact on businesses? If you are an EU citizen working in the UK or a UK business that employs an EU citizen, you do not need to do anything now. There will be no change to the rights and status of EU citizens living in the UK, nor UK nationals living in the EU, during this time. As outlined above, after the UK leaves the EU, EU citizens will need to apply for documentation to prove they have permission to work legally in the UK. There will be plenty of time for them to do so and we will engage closely with businesses and others on how they will be affected by these changes. More broadly, we are working to shape the wider future immigration system and will ensure businesses and communities are given the opportunity to contribute their views. Will UK nationals in the EU receive the same assurances? Negotiations with the EU are ongoing and the Government expects the EU and its member states to make the same commitment to British nationals living in Europe. The rights of British and Irish citizens in each other’s countries are rooted in the Ireland Act 1949 and not impacted by the proposals outlined in our policy paper. The arrangements between both countries pre-date our respective memberships of the EU. As such, Irish citizens residing in the UK will not need to apply for settled status to protect their entitlements.